Here is an important news for all those aspiring to seek admission to Medical PG on the basis of NEET PG 2018 Scores. Online Counseling & Seat Allotment process schedule eagerly awaited by the candidates ever since the declaration of NEET PG 2018 Result. 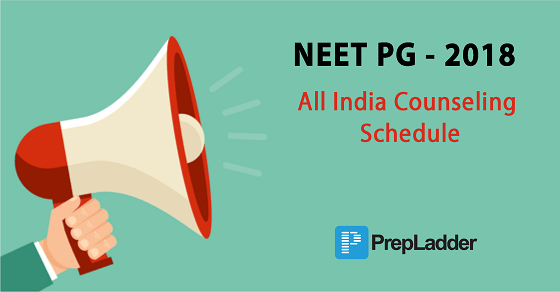 The wait is finally over and Schedule for Online Counseling & Seat Allotment Process for NEET PG 2018 has been finally released. We are here to familarize you with the Counseling & Seat Allotment schedule for NEET PG 2018. Main Counseling Registration, Exercising of Choices (After Registration) and Locking of Choices. Commencement of MD/MS/DIPLOMA & MDS Session – from 1st May, 2018. You can also go through the revised official notification on the official website.